Brothers Tanveer and Sim Bhular may not exactly be household names across all of Canada but in the Humber Summit community, their academic and athletic accomplishments appear to be destined for multi-layered recognition. Basketball has been the sport of choice in the Bhular family. Of course, take in consideration that the brothers each stand more than seven feet tall. Their father Avtar did not play basketball in his youth but specialized in the sport of Kabbdi. He developed his skill in the sport while in India. Kabbid is today a globally recognized professional sport with teams competing from all over the world. The game sees opponents separated into teams while challenging their agility, speed and strength. Teammates connect their arms, very much like in Red Rover, and then run, bounce, wrestle and break through their opposition to score points. The brothers are linked to our local community through their father. He owns and operates a successful filling station near Islington Avenue and Ayr Crescent. Avtar grew up in the village of Punjab in Northern India. The area is located west of the impressive Himalayan mountain chain and is very close to the Pakistan border. Bhullar attended primary school locally before attending high school in the nearby village of Dhaliwal. 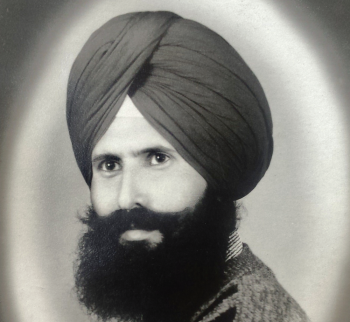 Avtar journeyed from Punjab, India in 1988 as a result of his sister arranging to bring their entire family to Toronto. The very first day Bhullar arrived in Toronto, he went to work. He initially worked as a carpenter in the furniture manufacturing industry. 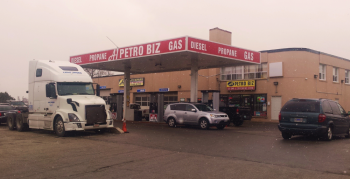 Since 2007, Avtar has owned and operated the A1 Petro Biz service station and the A1 - GT auto repair mechanics garage located at 2922 Islington Avenue. He acquired the family-run operation after working in the taxi industry for 17 years. It is situated on the former site of Humber Summit’s historical Andy’s Corner and was once a White Rose gas station. Bhullar’s station supplies customers with gasoline and propane and has a very sizeable mechanics garage. Avtar Bhullar’s bonds and friendships have continued with the taxi industry to this day. Many taxis fill up on a daily basis and get their automotive maintenance at his garage. His son Tanveer obtained his Bachelor of Arts degree from New Mexico State University while playing on the school basketball team. In four years at the university, the seven foot two inch player helped the team to three conference championships. Last month, he completed his Master’s Degree at Missouri State College in Professional Studies in Sport Management. He has continued to play basketball and now looks forward to attending an NBA testing and tryout session in Las Vegas. His brother Sim Bhullar was born in 1992 in Etobicoke and attended nearby Father Henry Carr Secondary School. He played his college basketball on a U.S. scholarship also at New Mexico State. In his first season, he averaged 10.1 points per game, 6.7 rebounds and 2.4 blocks per game. On April 7, 2015, Sim made NBA history when he checked into a game for the first time in his career with the Sacramento Kings. Standing seven foot five inches, he became the first player of Indian descent to play in an NBA game. 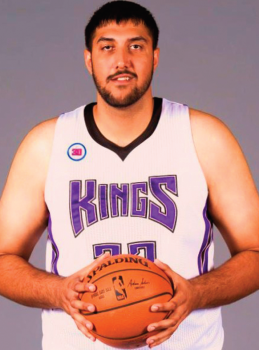 Bhullar scored his first two points in the NBA on April 8, 2015 in a 103–91 loss to the Utah Jazz. On October 31, 2015, Bhullar was acquired by the Raptors 905 for the NBA Development League. In the 2015–16 season with the Raptors 905, he averaged 9.6 points, 6.9 rebounds, 1.1 assists and had 1.3 blocks per game. In 2017, he played professional basketball in Taiwan with the Dacin Tigers. He is currently playing professional basketball in the summer league in China. His plans for 2018 are to play professionally in China or ideally return home to play for the Toronto Raptors. This well respected family that seems to have basketball running through their veins remains very proud of their ancestral roots from Northern India. The Bhullars continue to complement the Humber Summit community with distinct elements of family self-esteem and individual class.